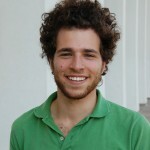 David Kanter joined the AgCenter as a Postdoctoral Research Fellow in August 2014. David received his B.Sc. in Chemistry and Law from the University of Bristol (UK) and his M.A. and Ph.D. in Science, Technology and Environmental Policy from Princeton University. His doctoral research focused on several of the major scientific, economic and policy issues central to managing global nitrogen pollution. His research at the Earth Institute is spread across several research centers: at the Center for Climate Change Law he is investigating the extent to which existing legislation and executive authority could limit emissions of nitrous oxide. At the International Research Institute for Climate and Society he works with Dr. Walter Baethgen on the global relevance of World Bank agricultural development projects in Uruguay. 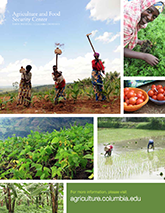 And at the Agriculture and Food Security Center, David is working with the Vital Signs project to identify tools for policy-makers to understand the trade-offs of agricultural development decisions.